The fiscal and economic crises enveloping many of the world’s wealthiest nations—from Italy and Japan to the United Kingdom and the United States—have brought to light the economic challenges arising from tectonic shifts in demography in the developed world. Specifically, dependent elderly populations are surging even as productive working-age populations stagnate or shrink in much of the developed world. These demographic trends “portend ominous change in [their] economic prospects: major increases in public debt burdens, and slower economic growth,” according to political economists Nicholas Eberstadt and Hans Groth. Also at work is another demographic trend sweeping the world: the decline in the number and percentage of children raised in intact, married families. 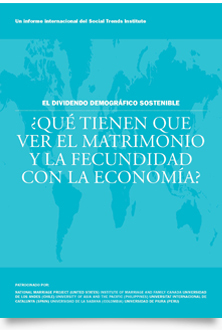 The Sustainable Demographic Dividend focuses on the key roles marriage and fertility play in sustaining long-term economic growth, the viability of the welfare state, the size and quality of the workforce, and the profitability of large economic sectors as diverse as agriculture, household products, and insurance. It is true that dramatic declines in fertility throughout much of the world—but especially in East Asia—have produced an initial “demographic dividend.” Many countries with falling fertility have been able to devote more human and financial capital to the market economy rather than to child rearing, thereby enjoying high levels of economic growth. Economist David Bloom argues, for instance, that more than 25 percent of the per capita GDP growth associated with the East Asian “economic miracle” of the late twentieth century can be attributed to the fact that the total fertility rate in East Asia fell from about six children per woman in 1950 to less than two today. 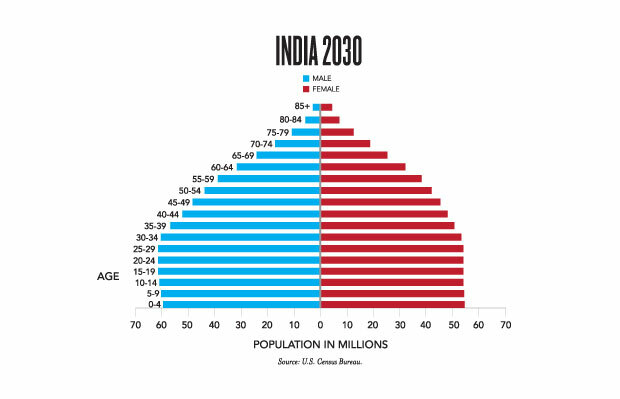 But in large swaths of the world, this demographic dividend is now becoming a demographic liability. In more than 75 countries around the globe, fertility is well below the replacement level—2.1 children per woman—needed to sustain the workforce at its current levels. As Phillip Longman and his colleagues point out in The Empty Cradle, on current course, countries like China and Japan are poised to see their workforces shrink by more than 20 percent between now and 2050 because of persistently low fertility, even as their elderly populations surge. The economic stagnation Japan is now experiencing, rooted in part in below replacement fertility that started in the 1970s, should be a warning sign to China, which saw its fertility fall below replacement in the 1990s. China’s sky-high growth rates are likely to come down to earth in the next few decades as its workforce shrinks (see above). The lesson here is that nations wishing to enjoy robust economic growth and viable welfare states over the long-term must maintain fertility rates high enough to avoid shrinking workforces and rapidly aging populations. 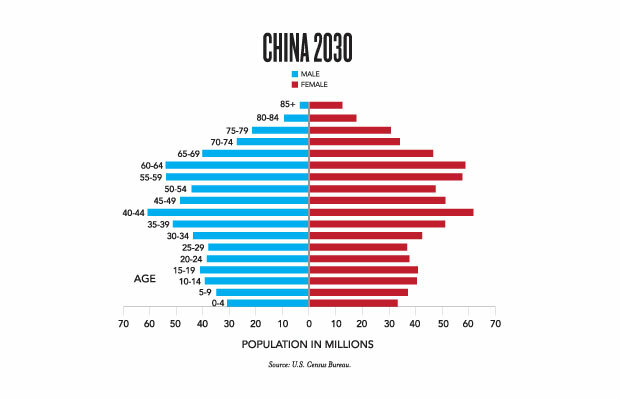 A recent Rand report noted, for instance, that “India will have more favorable demographics than China” in the long-term, insofar as its workforce is predicted to grow, not shrink, over the next few decades (see below).1 Indeed, the report suggests that in this century, India may be able to turn this demographic advantage into higher economic growth rates than even China has enjoyed. Yet it is not just the quantity of the workforce that is essential to economic growth but also its quality. Here, a different demographic challenge confronts many nations. As this report makes clear, marriage is in retreat throughout much of the globe—especially in Europe, the Americas, and Oceania. In these regions, increases in divorce, nonmarital childbearing, and delayed or foregone marriage mean that large numbers of children and adults will spend a major portion of their lives outside of an intact, married family. Indeed, in these regions, more than one in three children are born outside of marriage. For children, marriage matters. Children reared outside of an intact family are significantly less likely to acquire the human and social capital they need to become well-adjusted, productive workers. Those from intact, married families are more likely to succeed in school, graduate from college, and be gainfully employed as adults. And men who get and stay married work harder, smarter, and longer hours, and they earn between 10 and 24 percent more money. This is the case in countries as varied as Israel, Italy, Mexico, and the United States. For men and women alike, marriage fosters financially prudent behavior, including higher rates of savings and greater accumulation of assets. In these ways and many more, marriage is an important generator of social, human, and financial capital for economies around the world, and countries that enjoy a comparatively strong marriage culture— such as China, India, and Malaysia—are likely to reap long-term economic dividends. Finally, particular sectors of the economy are especially dependent on the strength of the family. In the United States, for instance, consumers are much more likely to spend money on child care, groceries, health care, home maintenance, household products, insurance, and juvenile products after they marry and have children, as Kathryn Sharpe and I find in Marriage and the Baby Carriage. Our research suggests that large sectors of the modern economy are more likely to flourish when men and women marry and have children. So companies in these sectors—from Bayer to Nestlé to Procter & Gamble to Wal-Mart—could and should do more to use their advertising and philanthropic dollars to strengthen families the world over and so—indirectly—their future bottom line. But it is not just particular companies that are likely to see their fortunes rise and fall with the fortunes of the family. The core message of The Sustainable Demographic Dividend is that the wealth of nations depends in no small part on the health of the family. W. Bradford Wilcox is director of the National Marriage Project at the University of Virginia. Carlos Cavallé is dean emeritus of the IESE Business School in Barcelona, Spain and president of the Social Trends Institute in New York and Barcelona, Spain. 1 Julie Davanzo, Harun Dogo, and Clifford Grammich, “Demographic Trends, Policy Influences, and Economic Effects in China and India Through 2025,” RAND Working Paper WR-849 (2011): 47.